Sadly, the following news is not that unexpected as many speculated after hearing the initial accounts of this missing persons case that they ex-boyfriend was responsible. It used to be to solve the crime, the butler did it. Now a days, one normally points to the estranged boyfriend or spouse. Thirty seven year old Mark Castellano has confessed to the murder of 31 year old Michelle Warner during an argument. Castellano admitted to killing his estranged girlfriend by breaking her neck and dumping Warner’s body outside the Midland/Odessa area of Texas. Police located Michelle Warner’s body Sunday more than 500 miles away in Odessa, TX. Authorities are waiting for autopsy results for an official cause of death. Michelle Warner had been missing since 9/22/12. 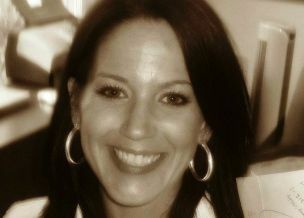 Michelle Warner, Rest in Peace. Detectives said Castellano also confessed to dumping Warner’s body outside the Midland/Odessa area of Texas. Castellano helped lead police to Warner’s body on Sunday. Police said it appeared Warner had a broken neck, but they are waiting on an autopsy to determine a specific cause of death. Warner disappeared from her southwest Houston apartment along with the couple’s three-year-old son on Sept. 21, sparking a massive search. Police said it appears Castellano fled to the Midland/Odessa area after the murder to stay with family members. However, investigators said Castellano flew back to Houston on Sunday and gave a confession. Investigators said the couple’s son was found unharmed with family members in north Texas. Police said while the pair was no longer a couple, Warner moved in with Castellano because she fell on hard economic times. But was just about to start a new job as a paralegal. 31 year old Michelle Warner has been missing since September 22, 2012 when she was last seen Saturday night at her apartment complex in Houston where she lived with her estranged boyfriend, Mark Castellano, and son Cayden. 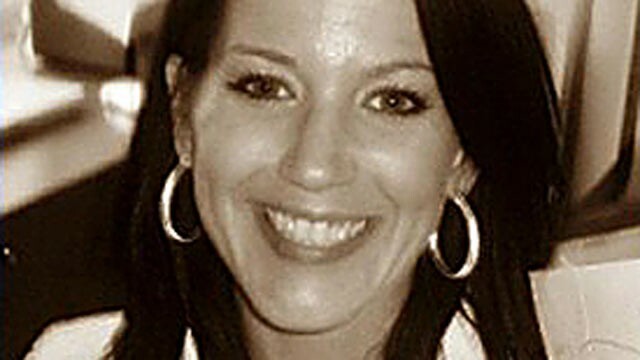 Michelle Warner disappeared following an argument with Castellano. Also, on the night that Warner went missing, Castellano took the boy more than eight hours away to be with relatives in Odessa, TX.According to reports, Warner’s cell phone has been turned off since her disappearance. Description of Michelle Warner: Warner is 5-foot-6, weighs around 125 pounds and has blue eyes and dark-brown hair. She has a dolphin tattoo on the backside of her shoulder and small butterfly tattoo on one foot. Police in Houston are searching for clues to determine why a Houston mother disappeared this weekend after an argument with her ex-boyfriend, who then left town with their 3-year-old son. Michelle Warner, 31, was last seen Saturday night at her apartment complex in Houston where she lived with her estranged boyfriend, Mark Castellano, and son Cayden. She disappeared the same night Castellano took the boy more than eight hours away to be with relatives. Mark Castellano told authorities that he and Cayden headed to Odessa, Texas, Saturday after the argument and Warner stormed out of their apartment, which he rented, officials said. The family has reported that there were bleach stains in the house and her computer hard drive was missing. This is hardly looking good. Texas EquuSearch, an organization dedicated to searching for missing people, has joined in the hunt for Warner. UPDATE I: The case of missing Michelle Warner is starting to take the appearance of a homicide. Michelle Warner`s case is looking less like a missing person`s case, and more and more like a homicide situation, where the police don`t know where the body is located. Hate to be so crass in my opening line, but I suspect you might concur with my frankness. Local news stations for Houston have been all over Michelle Warner`s case, whose primary scene of crisis and tragedy appears to have transpired last Saturday night, September 22nd. The contours of what must have happened that night are focusing more clearly as I type this!